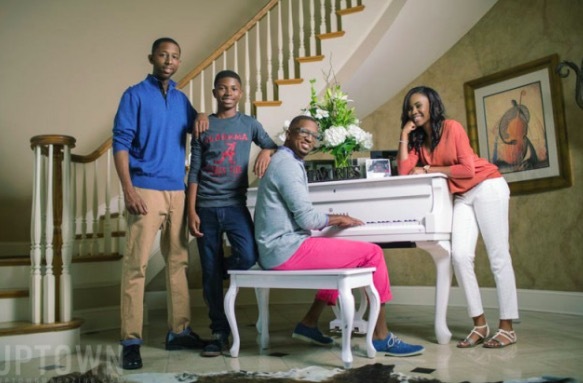 Rickey Smiley’s son, Malik, sparked a media firestorm with his recent, offensive comments toward black women. For those who missed it, Malik made it clear that he finds black women unattractive. The comments surfaced on the latest episode of Rickey Smiley: For Real. Check out the clip from the episode. His statement comes at the 6:50-second mark. Needless to say, it didn’t take long for viewers to fire back. But, not only was Malik criticized, many fans wondered if Rickey Smiley supported his son or shared his sentiments. In fact, many began questioning the famed comedian/radio host. Like anybody was checking for rickey smiley's son in the first place. Rickey wasted no time responding. He’s made it clear he’s not here for his son’s comments. On Jan. 23, Rickey took to Twitter to address the situation. He admitted he was “pissed.” He also revealed his son would be apologizing on air for his offensive comments. Although Malik has apologized, unfortunately, many fans are still giving Rickey the side-eye. But, hopefully, the apology will eventually put out the media firestorm.